My name is Mrs Sarah Ord and I am the SENDco at Acres Hill Community Primary School. Please do not hesitate to contact me if you have any questions regarding your child or have any requests for information which you would find useful on the website. At Acres Hill, we use one page profiles to support children and ensure that their voice is heard. If you have not seen a copy of your child's profile, please see their class teacher. You will be invited to attend a review for your child each term. This will be with the class teacher but other staff may also attend. This will be an opportunity to discuss the progress that your child is making and any additional provision that your child is accessing. If you are unable to attend, we would still welcome your views and invite you to share them in any way that you feel comfortable. After the review, you will receive a copy of the targets that your child working on. 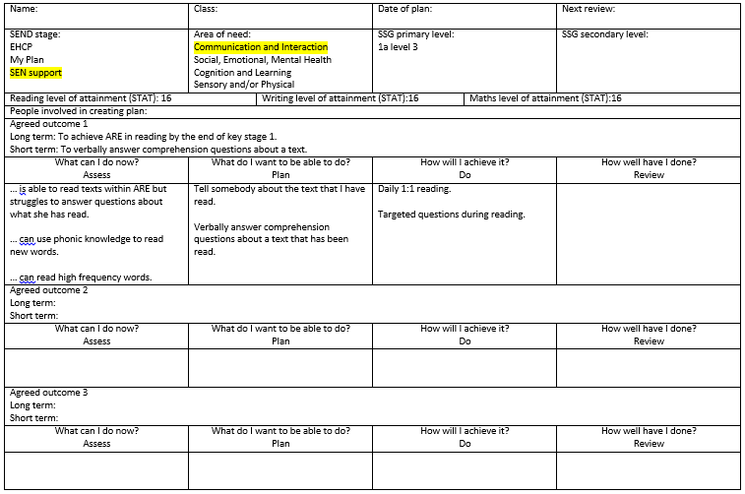 These will then be reviewed at the following meeting as part of the assess, plan, do and review cycle. Behavioural clues such as fidgeting, poor concentration or disruption within class can indicate a child is finding it difficult to connect with the learning process. Additional needs such as Dyspraxia or Autism also make it harder for a child to connect with processes and Sensory Circuits have been identified as a great way to energise or settle into the school day. The sessions involve a series of activities as detailed below and for the majority of children this leads to improvement in alertness and co-ordination in class. LEGO® based therapy is a social development programme which helps children and young people with Autism and related social communication difficulties. The programme is based on the highly structured, systematic and predictable nature of LEGO play which makes it appealing to children with social communication difficulties, who are particularly attracted to systems. Much more than simply playing with LEGO bricks, LEGO therapy includes the presence of a trained adult who guides the children and encourages them to address and resolve their problems. Through LEGO therapy, children can learn to communicate with others, express their feelings, change their behaviour, develop problem-solving skills and develop a relationship with the world around them. 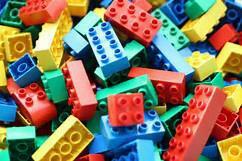 1.Each child learns a clear set of rules and LEGO building skills. 3.Everyone in the group agrees upon a project which is achievable for everyone involved – projects are usually certain structures or buildings to create. 4.Each child is assigned a role for the project. Roles are rotated throughout therapy. 5.The group works together to build the LEGO structure according to the principles of play therapy. At Acres Hill, we have received support from our Speech and Language Therapist in setting up this programme. Please see Mrs Ord for more information. If you have any questions, or would like to arrange a meeting, please contact me using this form and I will aim to respond within 48 hours.